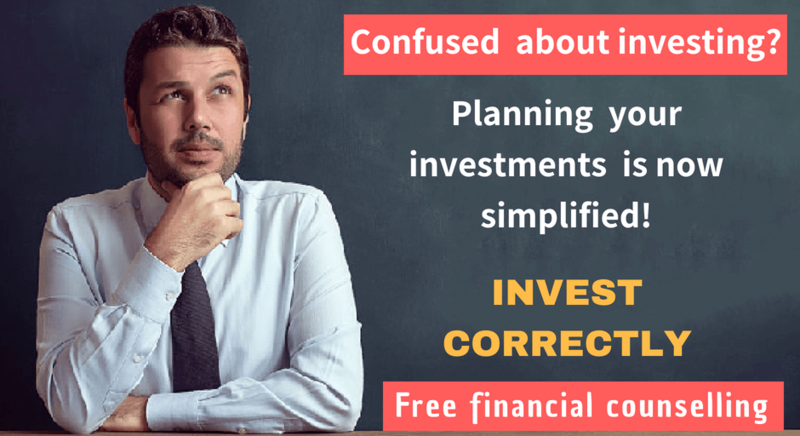 How Accrual based debt funds are different from Duration based debt funds? If flying thrills you then I am sure that given a chance to enter the cockpit of an aeroplane, you would certainly want to see how the aircraft is flown. Similarly, investors would be fascinated to learn about the concepts which fund managers apply to manoeuvre their money through different economic environments. Debt Funds , as we all know, are a class of mutual funds where investments are made in fixed interest bearing securities like Government Securities, Treasury Bills, Corporate Bonds, Money Market instruments and other debt securities of different time horizons. 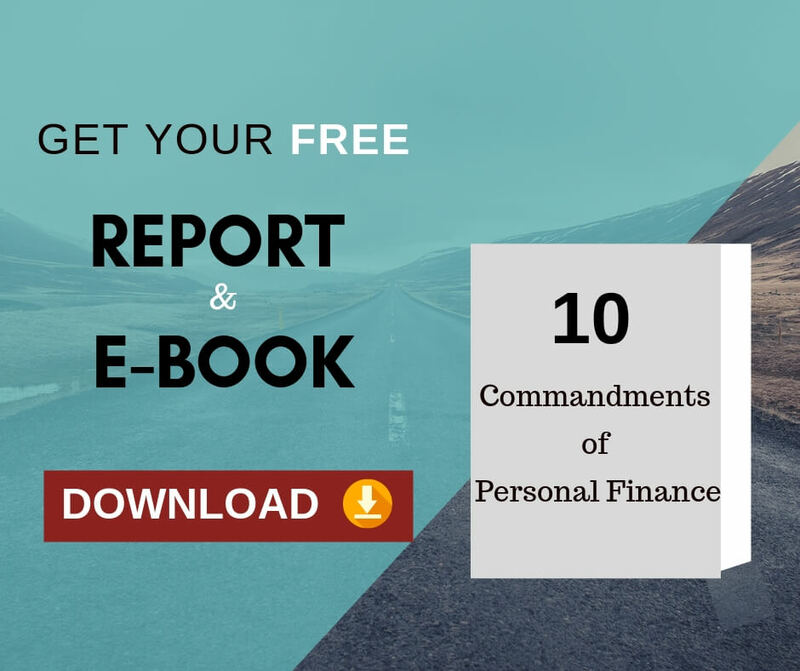 Generally debt securities pay a fixed rate of interest and have a fixed maturity date. Fund managers managing debt funds need to be aware of the interest rate cycles. Interest rates are perpetually moving up and down based on the demand and supply of money and the price which people are willing to pay for it. The Reserve Bank of India plays the role of an economic guardian and seeks to find a balance between growth and inflation by controlling the interest rates. A cut in rate will spur borrowings and growth while a hike in rate will curb inflation. When fund managers look to purchase corporate bonds with high yields, they are actually focussing on garnering high accrual of interest. Their research will entail extensive credit analysis for identifying corporate bonds that offer attractive yields and at the same time is sure to make timely payment of interest and principal. In other words, the search for returns is dictated by a trade-off between yield that he can get on corporate bonds and the credit risk he is taking by buying these higher interest bearing (and possibly lower credit rated) corporate bonds. The accural fund manager will not change the duration and average maturity of his holdings.The accural fund manager will keep them in a particular range forever. So the accural fund manager will choose debt instruments which will fit into his duration and average maturity. Also the accural fund manager will hold these securities till maturity. Even if the interest rate fluctuates and nav drops, it will be a temporary phenomenon. The drop in nav will become a real loss for the accural fund only when the security is sold at a discount. As the securities are held till maturity, there will not be any actual loss due to interest rate fluctuations. This in essence is the Accrual fund Strategy for bond investments. When a fund manager adjusts the duration of his portfolio to optimize his returns and when such decision is based on the direction of the interest rate movements, then the fund abides by the duration strategy. Fund managers who opt for the duration strategy are less focussed on searching for corporate credits with high accruals. Their focus is strongly on managing the duration so as to maximize returns. When the interest rates are going down, the duration fund manager opts for a relatively high duration so as to maximise capital gains from the rising bond prices. In the opposite scenario, where interest rates are rising, the duration of the fund would be minimised so as to protect against capital losses on the portfolio. The duration fund manager takes speculative calls on the interest rate movements and increases or decreases the duration and average maturity frequently. As the interest rates move based on too many variables, it is practically very difficult for a duration fund manager to predict the interest rate movements correctly. The wrong predictions make the duration based debt funds suffer a lot. Every investment has its own associated risk and this applies to all strategies which fund managers may choose to adopt. It is an age old adage that “too much of anything is bad”. A very aggressive perusal of accrual fund strategy, in the quest for higher yields can be counter-productive. This can lead to credit accidents if the credit-analysis is not properly done. A thorough evaluation needs to be done by the accural fund manager and necessary conclusions be drawn before the quantum of commitment to accural fund strategy is decided. Duration strategy is more about interest rates and their associated volatility rather than credit risks. It is often noticed that even when interest rates are on a down swing, the market yields do not entirely much such a dip. Yields are seen to move around trend lines and these movements can cause the Net Asset Values to dip in the short run for duration based funds to a far greater extent that accrual based funds. Duration based funds are more likely to yield higher returns in a declining interest rate economy. Accrual fund strategy are comparatively more predictable in returns and can be a choice for the conservative investor. Accrual fund strategies are more stable in the sense that they remain relevant for long periods of time and need not be reviewed during different cycles of interest rate changes. Duration based funds are only good when interest rates decline and needs close monitoring. Fund managers often temper the risks of duration based bonds by suggesting dynamic bond strategies where a change in portfolio mix is suggested based on the fluctuations of the interest rates. A more risk-averse client would certainly choose to opt for accrual strategy based funds due to its inherent stable nature. We choose debt funds as an alternative to fixed deposits. 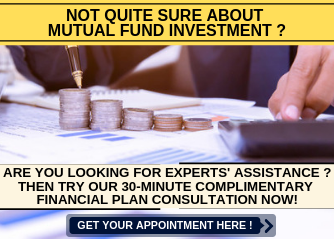 In that case going for accrual based debt funds makes more sense.If you want to check our own distinctive complete and comprehensive financial planning process will be suitable to you or not, then you may register for “30 MINUTES COMPLEMENTARY CONSULTATION OFFER”. 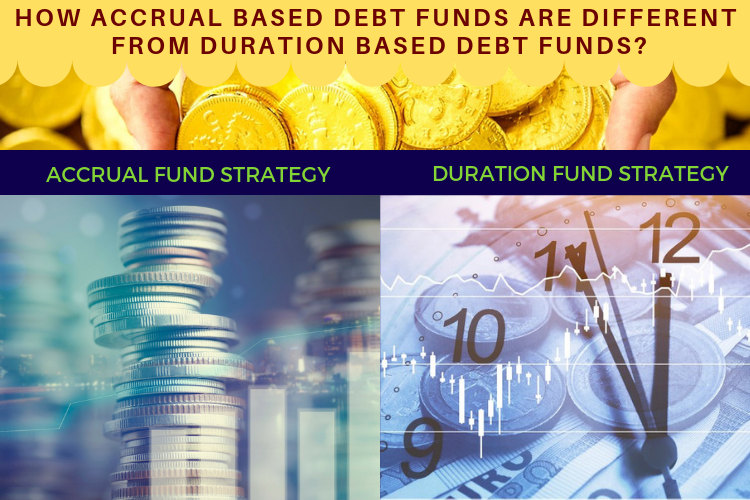 How accrual based debt funds are different from duration based debt fund in your point of view. Can you share your views in the comments box below? Next Next post: What is interest rate risk in a bond fund and how to manage it?